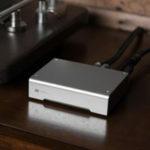 The Audio Note AN E has become a modern day classic now widely reviewed and revered all around the world by several major publications, including several of the reviewers here at Dagogo. But the AN E is not the only Audio Note loudspeaker deserving of your attention. Audio Note makes several smaller, and quite excellent, stand mount speakers in the AX Two and AN K as well as floor standing speakers. 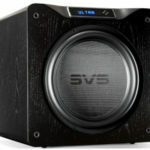 The AN J/SPe, under review here, is a two way stand mount speaker using the same 8-inch woofer and 1-inch tweeter that the AN E uses and is essentially designed for a smaller room and smaller budget, while retaining most of what the AN E brings to the table. Audio Note seems to be one of those maverick companies that seems to deliberately go against current mainstream ideas believing in, and creating such often deemed, crazy products such as low-powered single-ended tube amplifiers, CD players with no over-sampling or digital or analog filters, the belief in turntable superiority in the digital era, and loudspeakers which go against most all currently accepted speaker design principles. And yet, Peter Qvortrup of Audio Note insists that his plain-looking two way rectangle boxes – wider than they are deeper, with hard edged corners, soft dome tweeters, paper woofers with foam surrounds, birch plywood rather than MDF, and no internal damping, are speakers that were right decades ago and still point the way ahead today. And that’s not a complete list of where these speakers depart from industry accepted principles. What else, you ask? The spacing between woofer and tweeter is too large to create a cohesive top-to-bottom sound, and mating an 8-inch woofer to a 1-inch tweeter means that the midrange can’t work properly. After all, most of the rest of the industry is of the view that an 8-inch woofer can’t negotiate the upper midrange while also producing ample enough bottom-end. Okay, that’s all bad enough but on top of all of that, you want me to put the speaker in the corners of my room. Corner loading causes all sorts of bass problems and room issues. And there’s even more, you want me to run a high-distortion single-ended tube amplifier and downright weird-measuring zero over-sampling CD players. Richard, you’re nuts! It just can’t work. Hey tell it to Peter. Indeed, many people have told Peter. If you browse many of the audiophile forums, you will read endless threads about whether Audio Note speakers meet their specs, or that un-damped boxes like this can’t serve the music properly. My lord man, these speakers can’t possibly work! And yet they do! They’re some of the best loudspeakers available and they simply and consistently allow you to get past the speakers and the equipment and other audiophile phobias and on to the more important task of listening to and being swept away by the artist’s intellectual and or emotional message. What is interesting here is that much of the industry finds corner placement and near room boundaries to create more problems than solving them. Audio Note believes that corner loading will allow the reflected wave to follow the direct sound closely enough so as not to be detected by the ear. This will allow more consistency from room to room and avoid many of the room related problems associated with free standing designs. 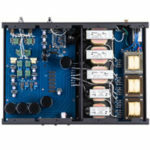 With views like this it is not surprising the company takes some hits on various forums from critics and competitors about their hard line views of the correct way to build loudspeakers. Nevertheless, it is easy to see, or rather hear, some support for Peter’s hard line views when listening to his speakers. I want to choose the music and not the loudspeaker manufacturer. By this I mean that I should be able to play any music of any genre and at realistic volume levels to my heart’s desires. Most audiophiles have experienced, at one time or another, stereo salespeople who like to control both what music is played and at what volume level. There has become some sort of notion that some speakers are good for classical while others are suited for rock. “Poppycock” I say! Any loudspeaker that is supposedly built only for classical music but renders good rock recordings as lifeless and dull is very likely doing a disservice to classical music as well. The speaker ultimately should not care what signal is being sent. The speaker’s job is to present what it is given. With that minor rant out of the way, I listen to quite a wide array of music from acoustic, classical, to heart pounding amplified rock. The best stereo systems leave you satisfied with all program material. Perhaps more demanding is that I also want that excitement at low volume listening as well as medium and LOUD levels. I want to feel the bass without adding other boxes cluttering up my already overly cluttered room. The reality is that very few speakers can do all of that. How about the AN J/SPe? I could save the answer to create added suspense to that question, but rest assured the AN J is one of those loudspeakers that will do justice to any Beethoven Symphony, or your latest Trance/Hip Hop/Rock album. Your pulse will flow at low volumes or when you want those 90dB-100dB sessions. The AN J and E may be stand mount speakers, but they need to be viewed and compared to floor standers when it comes to volume and bass prowess. Granted there is a limit here. The AN J is capable of solid bass between 25Hz and 40Hz depending on positioning, which is remarkable for a speaker this size while also being very easy to drive. The AN J is one of those chameleon loudspeakers which are equally at home with 1960’s Ray Charles LPs, while bringing about the soaring beauty in young classical artists like Hayley Westenra. 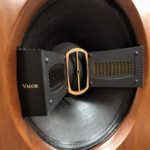 The speakers’ balanced presentation from top to bottom displays no hick-ups passing information from woofer to tweeter. The speakers are as seamless in this regard as I have ever heard. This is absolutely critical and a failing of so many loudspeakers because without this seamlessness, the belief that the artists are in the room immediately crumbles and turns into a session of dissecting tweeters and woofers. Beginning with human voice is usually a good starting point because our ear is finely tuned and wealthily experienced in listening to this important instrument. Using a wide array of CD and LP from several artists across genres from Leonard Cohen, Jackson Browne, Alison Krauss, Loreena McKennit, Sarah McLachlan, Diana Krall, Katrina Gauvin, Kathleen Battle, Lucinda Williams, Andrea Bocelli, Madonna, Tom Petty, Johnny Cash, Ella Fitgerald, Frank Sinatra etc, (WHEW. –Ed.) without fail the AN J’s impressed at stepping out of the way and allowing me to be involved and touched by these artists. Moreover they allow me to listen for very long sessions and not become wary of annoying traits that often occur over longer listening sessions with a great many loudspeakers. Indeed, there is a lot here to convince me that Peter Qvortrup’s stance is closer to the truth than a lot of people would like to admit! Okay so they’re great on vocals, but surely 8-inch woofers with one-inch tweeters are going to struggle with dance related music, synthesizers, and hard rock. Usually these genres are less well-recorded and with higher degrees of compression and the AN J will show up these warts. However, the AN’s won’t show them up by putting a spotlight on them and scream “This recording stinks – let’s only pay attention to the bad bits.” No, the AN J’s will let you know the recording is poor but they won’t highlight and bash you over the head. For example, Motley’ Crue’s Dr. Feelgood can play loud but seemed quite thinned dimensionally. The AN J still rendered the LP enjoyable but you could certainly hear the limitations of this recording. Sifting through Mathew Good, Aerosmith, The Outfield, Goo Goo Dolls, Neil Young, White Stripes, Santana, I settled in for AC/DC’s Back in Black which is considered to be one of the better Rock albums in terms of dynamic range (LP). (Also try The Game by The Queen. –Ed.) And AC/DC is just plain fun. When you listen to this you want to turn it up and you want to feel it in your gut – you don’t want to be reminded that the speaker is compressing and bottoming out and generally huffing and puffing just to get a drum to sound remotely like a drum, which is often the case for stand mount speakers and smaller floor standers. Okay how about dance? There’s usually more synthesizer and that dance beat kind of bass. Different music generates different kinds of bass. And it is this aspect that really isn’t discussed enough in this industry. You have that mid-bass hump that people discuss with disdain but if it’s on the recording then your stereo and speakers NEED to pelt you with that mid-bass drive. So put on some Gloria Estefan, Madonna, Tupac, Delerium, and away I ago again. Madonna albums run from the rather well-recorded Immaculate Collection to the rather poorer recordings in Confessions from a Dance Floor. The J’s will tell you what’s up and they keep the high-octane boogie factor in confectionary music (which is what Madonna is when she’s at her best in my view) in tracks like “Into the Groove,” “Vogue,” “Cherish,” and “Express Yourself.” The driving club-like bass is retained to acceptably high levels. Delerium’s “Silence” with Sarah Mclachlan (LP and CD) is a busy powerful synthesizer driven trance track and the AN J’s really show what they can do when pushed to high levels. The speakers fill the room with terrific treble stability and sound that washes over you. The J’s continually amaze me that sound this big can come from a speaker this small. Naturally, the big monster club speakers are going to win out here – we’re talking home speakers and there is a limit because clearly the speakers are aimed at more polished classical and jazz aficionados. However, I wanted to make it very clear that despite their modest size and driver compliment, and unlike a vast array of speakers aimed at classical and Jazz listeners, these speakers can rock the house with wall rumbling chest pounding vibes. They won’t crack plaster but no one is stopping you from adding subwoofers. Yes, but Richard I am one of those polished classical and jazz listeners and mentioning Madonna and Tupac in a review is hi-fi heresy. Okay. Sheesh don’t be such a snob! I’m an equal opportunity listener and pulling out my collection of Wes Montgomery, Dave Brubeck, Lee Morgan, Miles (does anyone mention jazz without Miles? ), David Sanborn, YellowJackets, Ella Fitgerald, Chopin, Corelli, Vivaldi (my favorite), Beethoven and even adding other instrumental music such as Acoustic Alchemy, Jesse Cook, Leahy, Spyro Gyra, Mike Oldfield, etc., well we can dispense with the worry that the J is just about rock. Indeed, it is with classical and jazz and acoustic instruments where the AN J truly shines. Perhaps this is due to the box design or lack of damping or sprinkled fairy dust in the silver wires, but instruments are allowed to breathe in a way that makes them sound hauntingly real. Piano is perhaps the most difficult instrument for any speaker to negotiate and what the AN J provides is a real visceral sense that you are listening to an actual piano in almost all of its power and glory. Indeed, listening to Beethoven’s “Moonlight Sonata” on Audio Note speakers was a revelation to me of what loudspeakers were capable of providing, and I have heard several acclaimed panel loudspeakers where this kind of thing is considered their bread and butter. Hilary Hahn’s violin playing is majestic and beautiful and the J’s don’t skip on the nuance and beauty contained in her playing. Violin is often mangled in an overly screechy affair or dulled down to being difficult to distinguish from a cello. The AN J is one of the best tonal and timbral reproducers available with a sense of imaging and staging that places instruments in their perspective places. However, to me, getting the sound of the instrument right is more important than where the instrument is located and the cello is such a wonderfully sad-sounding instrument and tough to get right. If there is one instrument that pulls my heart strings, it’s the cello. The AN J brings out the body of the cello in three dimensions and retains woody breathy overtones in a way that is on the one hand astonishing, and on the other hand just relaxing. If there was an emotion rating that could be applied to inanimate objects, the J would be an empathic metamorph (2 points if you get the reference that I have boldly gone to). One thing to note though is that to get the best stereo imaging, it is important to follow the placement guide as closely as possible. I find that a rather steep toe-in creates the best results which runs counter to most loudspeakers. To conclude, the AN J, like the bigger AN E, navigates anything you throw at them with aplomb. They are always engaging, enjoyable, and have an overriding sense that what is being sent to the ears is “right.” And where the J goes wrong is more about omission. They won’t dig the deepest pedal organ notes out for example, but they will artfully relay most of the fundamental to trick you into believing there is more there than what is there. There is a great deal of art in the design of loudspeakers, and artfully shifting weaknesses so that they do not impede your enjoyment of music is paramount in retaining your willingness to suspend disbelief. Audio Note has produced a new hemp cone woofer for all AN J and AN E models which they claim “adds a further layer of low level information to our speakers’ already superior subtlety.” I have not heard the AN J with the hemp driver but the AN E with this new driver really seems to do as claimed. I suppose the saying that you don’t know what you’re missing until you hear it is true in this case. This and the high efficiency woofers are worthy upgrades. In fact, this toe-in can be disconcerting for many audiophiles who are used to the more usual free standing face forward designs. 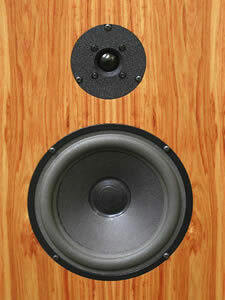 Nevertheless, the speakers can have an almost 90 degree toe-in and still create a very strong stereo image. I found getting excellent results very easy to do in my listening space. The Audio Note J’s are one of the easiest speakers I have dealt with for positioning because tonally they sound so right. Nevertheless, to get the speakers bang on for both best imaging and deep powerful bass without bass boom then some time will be needed experimenting with toe-in and distance from corners and the back wall. In my room, I get the best results with the speakers very hard in corners with a strong toe-in such that I can see the outside of the speaker boxes. This kind of positioning is quite different than what most people are used to but this works to allow the boxes to disappear and allow the musicians to be placed front and center. Lastly, it is advisable for ideal results to be in a listening chair where your ears are below the tweeters. At first glance it might look like it comes down strictly to monetary considerations. If you’ve got the cash get the E right? Well perhaps. The E has more bass, is easier to drive and has a bigger presentation, as well as a more organic presentation top to bottom. So, to me the E/SPe is a better loudspeaker in absolute terms. Nevertheless, some people actually prefer the J, because they find it a more taught presentation in the mid bass, as well as more “present” in the voice band. You may also decide that sacrificing bass in the E for added refinement in the internal parts of the J is a better route. The AN J comes in several different versions all the way up to a $20,000.00 version of refinement just as the E speakers. You may decide that added refinement and resolution offered in a given AN J is more valuable than bass extension with less refinement in internal wiring. The Audio Note J certainly doesn’t get the well-deserved press or notoriety of the bigger AN E, but don’t let that be cause for hesitation. The AN J/SPe stands with virtually any speaker I’ve heard at any price for their recommended small to medium sized rooms. After all it’s not just about price, it’s about design and the refinement of that design. This is a near full-range loudspeaker, regardless of size, capable of a degree of articulation, and organic flow, and toe-tapping verve as any speaker you will find. Its tuneful character steadfastly reminds the listener of real acoustic instruments hanging in space. Vocal articulation is beautifully tactile as if you could reach out and touch you favorite singer, but without the problem of receiving a restraining order. What can I say? I spent four years listening to loudspeakers that I felt I could live with for the long term. I came close a number of times with a number of mighty fine loudspeakers. I made my decision on the AN J/SPe’s overriding ability to satisfy for long duration listening on every genre of music at every reasonable volume level. Perhaps Junior will find a place in your heart as it has in mine. I don’t know what the price of these speakers are. I love my Snell Acoustic jii Speakers. I purchased them in 1986 and never wanted anything else because they sound so natural. In most places that I lived, it would be very difficult for me to position my speakers in the corners. I do however toe them in about 30 degrees. I would do the same if I purchased a pair of AN-Js.I have to say that the finish of these speakers is absolutely beautiful. I don’t know the cost of these speakers, but they would be my next investment in speaker systems. I would appreciate a price list of these speakers with the different refinements.